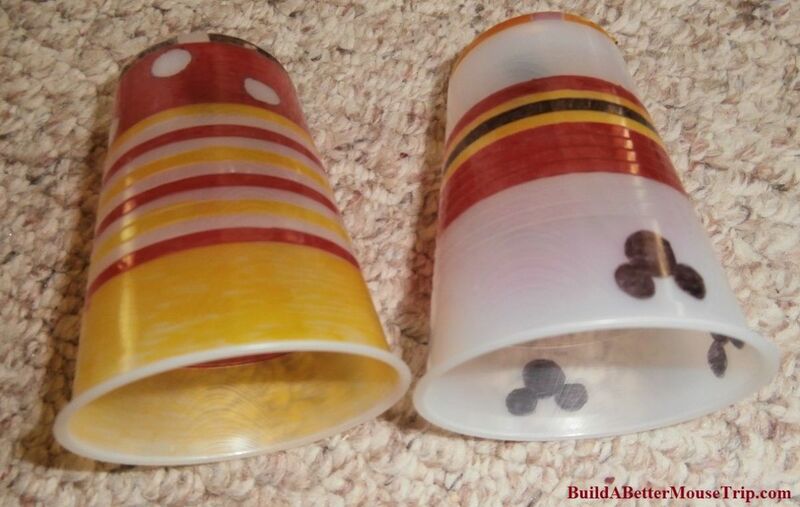 These Mickey Mouse crafts are a super-easy idea using easily found materials like disposable plastic party cups and Sharpie Markers. Just be sure the cups are marked with the #6 in the recycle triangle on the bottom; this is the same type of plastic that Shrinky Dinks use. You can use clear or colored cups. 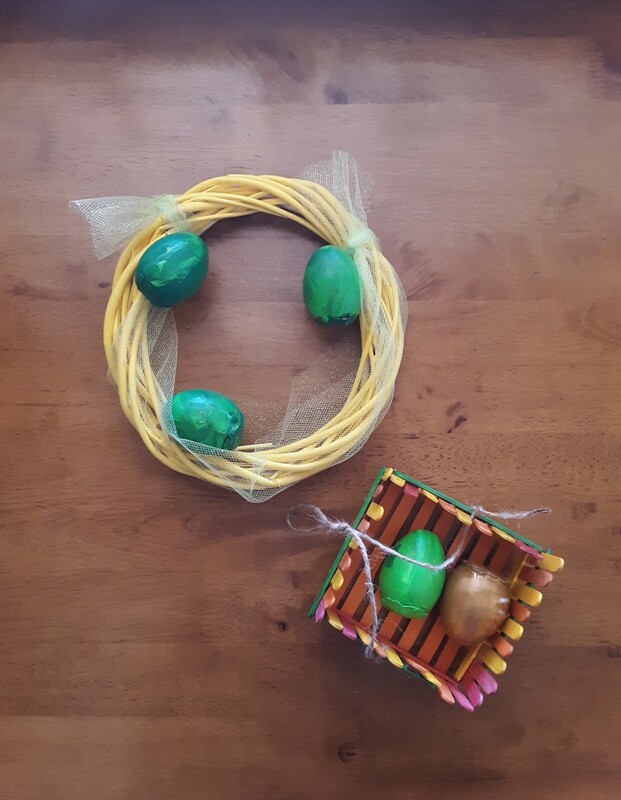 The plastic doesn't necessarily shrink in perfect circles so these may not be heirloom quality works of art but it is fun, cheap, and easy! Glue a magnet to the back to make an cute refrigerator magnet or you can use a hole punch before shrinking to make a spot to thread a cord through to make a Christmas ornament. Photo credit: All photos are our own property. You can get supplies here. We got our party cups at our local grocery store. We used parchment paper for our project but you can cut a flat piece of brown paper grocery sack and that will work equally well. Everyone should have a set of Sharpie Markers in a variety of colors! Plastic cups going into the oven to shrink. - Step 1: Cut a piece of parchment paper or brown paper grocery sack to the approximate size of your cookie sheet. - Step 2: Place cookie sheet on rack in oven and set the oven to preheat at 350 degrees. You don't have to put the parchment paper or brown paper on the cookie sheet just yet. - Step 3: Use scissor to cut the rolled round plastic edge from the cup & discard. If you'll want to hang your project, use a paper hole punch to make a hole a little ways in from the edge of the cup. - Step 4: Use Sharpie Markers to create designs on your cup. - Step 5: Place parchment paper / brown paper bag on your preheated cookie sheet and set the decorated cups on the top. - Step 6: Return cookie sheet to the oven and close the door. 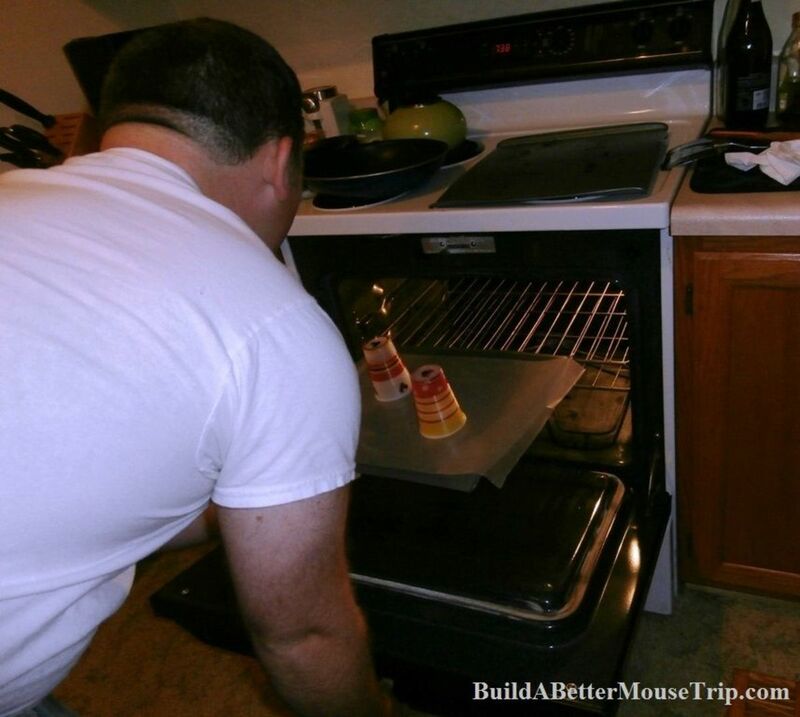 If your oven has a window and a light, watch to see when the cups appear flat and well shrunken. If not, check in about 30 seconds, though more time may be required. The cup will crinkle and then start to lay down flat, though you may give some ripples or curves. - Step 7: When projects are shrunken, remove cookie sheet from the oven. Quickly use a knife to help unfold any curled area. A flat bottomed glass or pan can be pressed over the project to help flatten it. - Step 8: Allow project to cool before gluing magnets, adding string loops or otherwise embellishing the project. 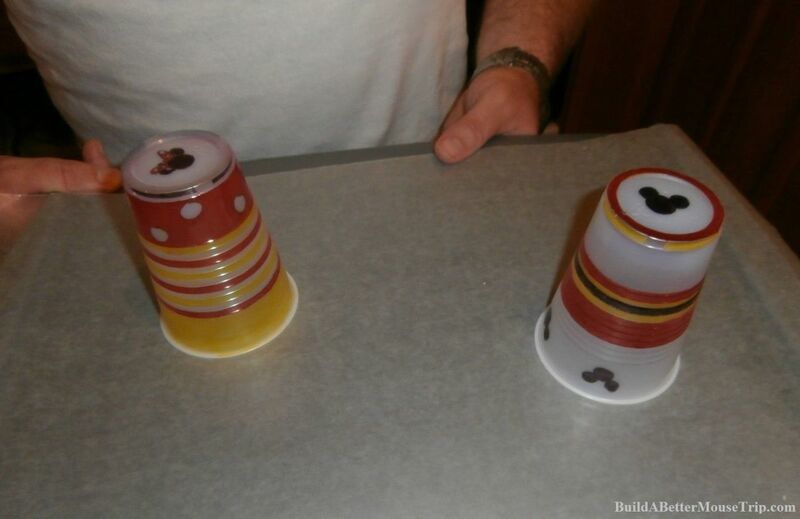 Plastic cups that have been decorated for shrinking. We're still perfecting this art but we've picked up a few things along the way! 1. Preheating the cookie sheet really seemed to help the cups shrink more consistently and reduced the oven time. 2. The parchment paper or brown paper sack kept the plastic from catching on little cuts and knicks in the cookie sheet, which contributed to the curling problem. 3. You don't have to remove the rolled plastic edge but we felt the cups were smoother at the end when we did. 5. Colors intensify with shrinking so don't go too dark. Also, shapes stretched as the plastic flattened. 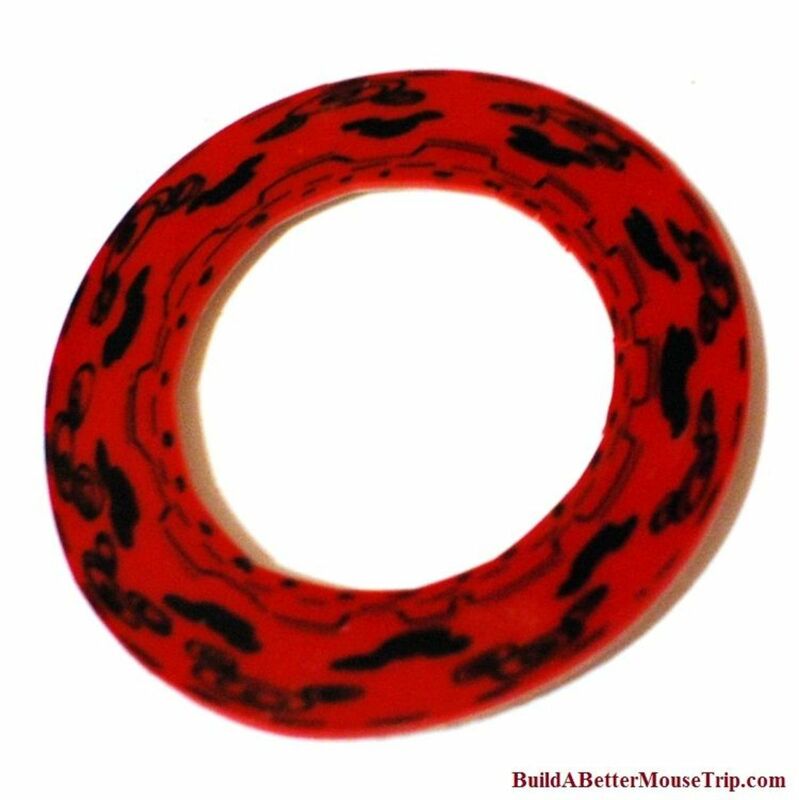 We got better Mickey Mouse heads when we made them a little taller, rather than wider. 6. Some of our holes almost closed up while shrinking so we used a pencil or the tip of a paring knife to re-open them while the plastic was still hot. 7. We tried removing the project from the cookie sheet with a spatula and transferring to a plate but had problems with the plastic folding and sticking to itself. Also, keeping the projects on the hot cookie sheet gave us a little more time to uncurl and flatten any problem area. 8. 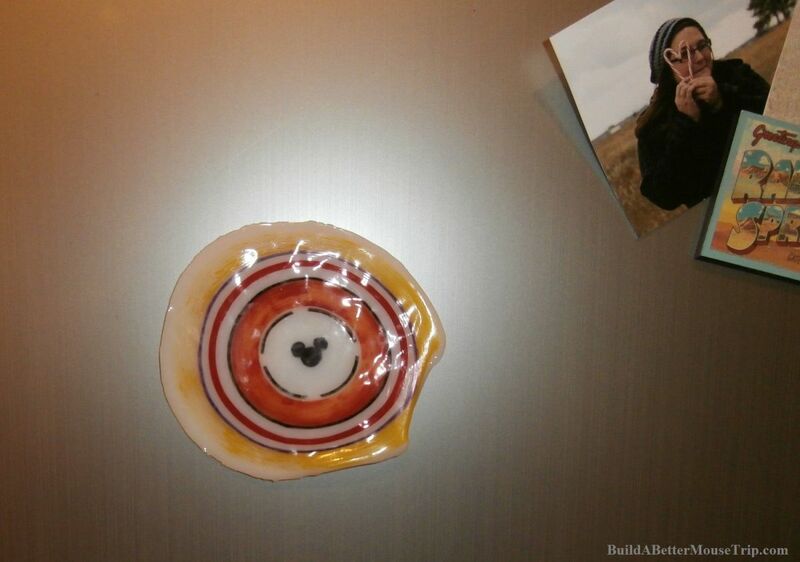 You can try returning the project to the oven to soften and flatten if the plastic becomes rigid before you are able to uncurl any problem area. 9. Some cups will have a large number on the bottom but that number may indicate the number of ounces the cup holds, not the type of plastic. Look for the number inside the recycle triangle. 10. 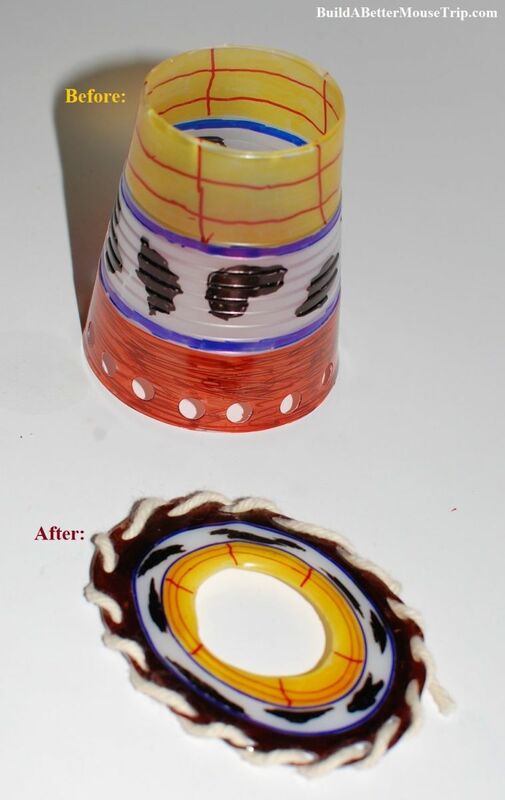 For our Toy Story Shrinky Craft, we cut the bottom out of the cup and punched holes just inside the rim before coloring the cup. After shrinking, we laced yellow cotton yarn through the holes to give it a western looking edge. Are you going to give this craft a try? 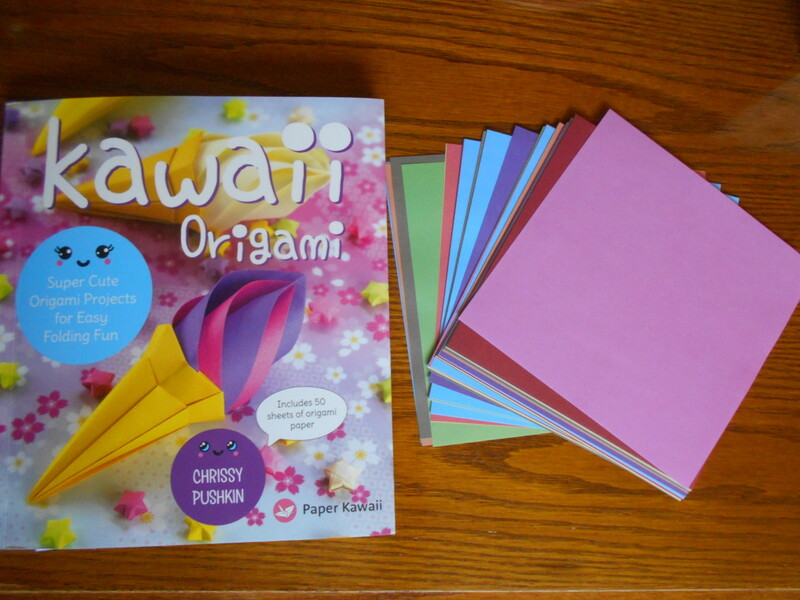 The supplies are cheap and readily available and you don't have to be an artist to try this craft. So what do you think? Will you be decorating and shrinking cups anytime soon? Heck, Yeah! This looks kinda fun; I think I'll try it. Your project is...um...weird. I think I'll skip this one. We've got a Pinterest board full of Disney craft ideas you can try. About twice a month, we sent out a free email newsletter filled with Disney World tips and information. You can sign up here - we'll never share or sell your information and you can unsubscribe at any time. We're still perfecting this art form and would love to hear how your shrink cup crafts come out. Share tips and tales of disaster...we want to hear it all! Very cool idea and economical too. Nice lens! That looks like fun! I love the recycle component and well, who didn't adore shrinky dinks?